This was my all-time favourite cartoon from my childhood, and the original series with The Inspector sandwiched in-between two Pink Panther shorts is still the best, in my eyes, at least. 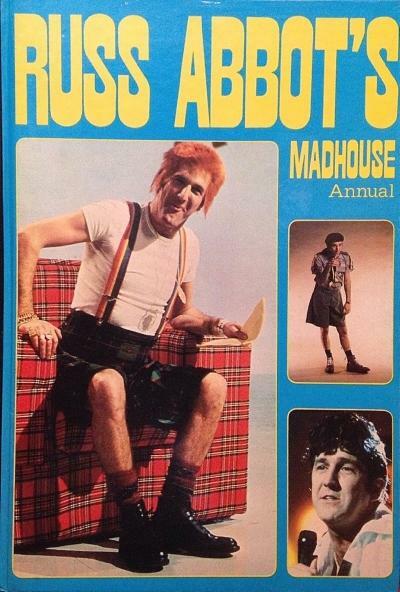 A number of official annuals were produced between 1973 and 1986, although not in every year. The 1973 annual was distributed by World Distributors Ltd, with those released in 1974, 75 and 76 produced by BBC TV. Other annuals were published between 1977 and 1980, although I've been unable to find out who by. 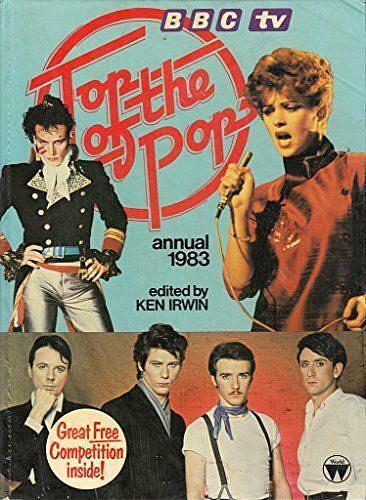 The 1983 annual (above) was produced by the Fleetway division of IPC Magazines Ltd. A further two annuals were published in 1985 and 86 by Littlehampton Book Services Ltd. I used to thoroughly enjoy watching this BBC comedy series, in which there were plenty of memorable characters. Peggy the cleaner's desperate attempts at becoming a Maplins Yellow Coat were always amusing, as were the drunken antics of the Punch & Judy man, Mr. Partridge. I believe there were just two annual published in 1983 and 1984 which were penned by the author Eve Sumner. 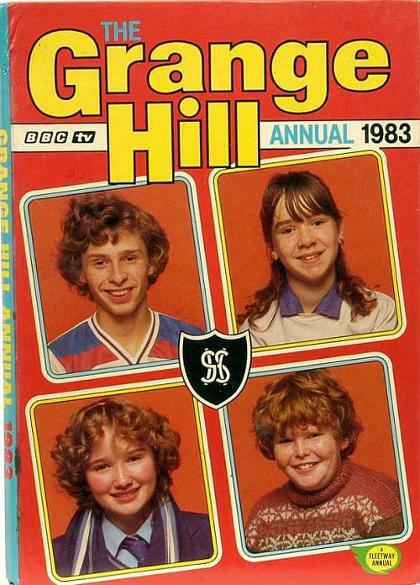 The '83 annual above features camp host Ted Bovis, entertainment manager Jeffrey Fairbrother, chief yellowcoat Gladys Pugh, Peggy the chalet maid and Spike the camp comic on its front cover. What was more enjoyable that sitting in front of the telly on a Saturday afternoon watching World of Sport with Dickie Davis? It was a good excuse for my Dad not do any gardening or D.I.Y., and my gran was addicted to the wrestling, especially when Big Daddy was faced with his arch-enemy Giant Haystacks! World of Sport annuals were also published in 1978, 1979 and 1980, although I've yet to find any evidence of annuals published in 1981 and 1982. I believe that the 1983 Annual was the last to be published. As well as presenter Dickie Davis, snooker legend Steve Davis (who is no relation to Dickie) and darts legend Eric Bristow also feature on the front cover. This was a pretty bizarre kids TV series about a company that rents out a bunch of inept ghosts. Run by Fred Mumford, the company is run from an office rented out by Harold Meaker. Timothy Claypole was a disobedient jester who knew little about modern technology.Hubert Davenport was from the Victorian era and was easily shocked by the modern world. 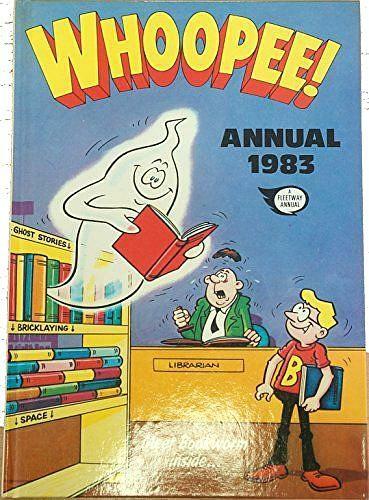 Other characters were introduced as the series progressed, including a dutch ghost called Miss Popov, Hazel the McWitch (who was Scottish, obviously!) and Dobbin the pantomime horse. The robotic dog was a character you either loved or hated and I found it pretty annoying, to say the least! It was the voice I found just so irritating, and every time it bleated out "affirmative master" I wanted to push my fist through the TV screen and punch its red lights out! Nonetheless, there were very many people who were fond of K-9, and a good many would, no doubt, like to see him return to become Peter Capaldi's companion - please, no! The Cannon & Ball annual was only ever published for one year and this was compiled by Glynis Langley and Norman Leaver. It featured pictures, jokes, stories and everything you would expect to find in an annual. The ex-welders signed up with LWT in 1979 for The Cannon & Ball Show which ran for nine years on ITV until 1988. Comedy went through some massive changes back in the eighties, and although the duo were popular in their early TV years, by the end of the decade the rise of alternative, more politically and socially focused comedy saw their popularity decline considerably. Yet another Fleetway/IPC publication, of which, there were literally hundreds throughout the course of the 1980s. The weekly Tammy comic was published between 1971 and 1984 by Fleetway, before merging with Girl. Other titles had already merged with Tammy and these included Sally, Sandy, Jinty, June and Misty. During the 70s, Tammy featured some pretty dark stories, but the horror tones largely disappeared during the 1980s.